Danny Sharp has qualified for the next round of the national karting competition, but a tough road lies ahead. His kart is damaged beyond repair, and he needs to find sponsorship fast if he’s going to have a hope of buying a new one. But with his arch-rival, Tony, constantly goading him, Danny feels under more pressure than ever. He’s still dreaming of Formula One, but can he rise to the challenge and stay on track? Really amazing, I loved every bit of it. 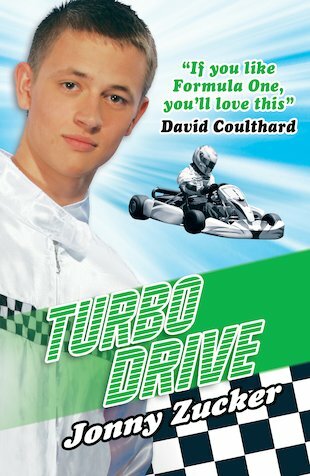 I love karting and I thought this book was great for my inner kart. Any boy racers should read the Danny Sharp Series.